The folks at Pepsi Max were in Bloomfield, NJ pretending to watch a pick-up hoops game featuring some kid named "Kevin." 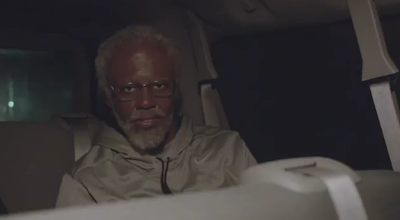 The man who stole the show was his "Uncle Drew," who's portrayed damn well by young Cavaliers star Kyrie Irving. He pulls off one really solid old man. And when he starts dunking on folks, that's just greatness. Let's go to the videotape.